SJM Holdings Ltd executive director Daisy Ho Chiu Fung has been granted a total of three million share options by the firm. The options entitle her to subscribe for a total of three million SJM Holdings ordinary shares. The exercise price of the options granted is HKD8.33 (US$1.07) per share, similar to the closing price of the SJM Holdings shares on Thursday. The firm’s stock is traded on the Hong Kong Stock Exchange. The validity period of the options is from December 22, 2017 until December 21, 2026, SJM Holdings stated in a Thursday filing. 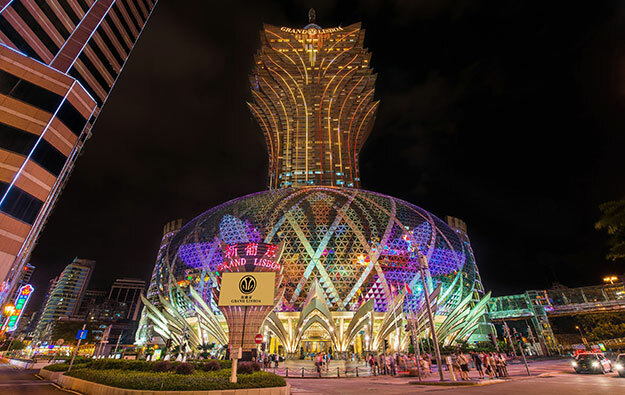 The company, which operates the Grand Lisboa casino hotel (pictured) among other properties, is building its first casino project in Cotai: the Grand Lisboa Palace casino resort – a HKD36-billion (US$4.6-billion) project – is scheduled to open in the second half of 2018. Ms Ho – a daughter of SJM Holdings founder Stanley Ho Hung Sun by his second consort – became an executive director of the firm on June 13. She has been deputy managing director and chief financial officer of Shun Tak Holdings Ltd since 1999. Shun Tak Holdings, also founded by her father, is a Hong Kong-listed conglomerate engaged in shipping, property development and hospitality services. Its unit Shun Tak-China Travel Ship Management Ltd, operating under the brand name TurboJET, operates high-speed ferry sailings to Macau. Ms Ho served previously as a director at MGM Grand Paradise Ltd, the gaming licence holder for MGM Resorts International’s casino property in Macau, MGM Macau. She stepped down from that role at the end of 2010, according to media reports. MGM Grand Paradise acquired its Macau gaming licence from her father’s Sociedade de Jogos de Macau SA – now a subsidiary of for SJM Holdings – for US$200 million. A sister of Ms Ho, Pansy Ho Chiu King – also a daughter of Mr Ho by his second consort –, is managing director of Shun Tak and is also an investor in and director of, MGM China Holdings Ltd, the Hong Kong-listed firm that controls MGM Macau.